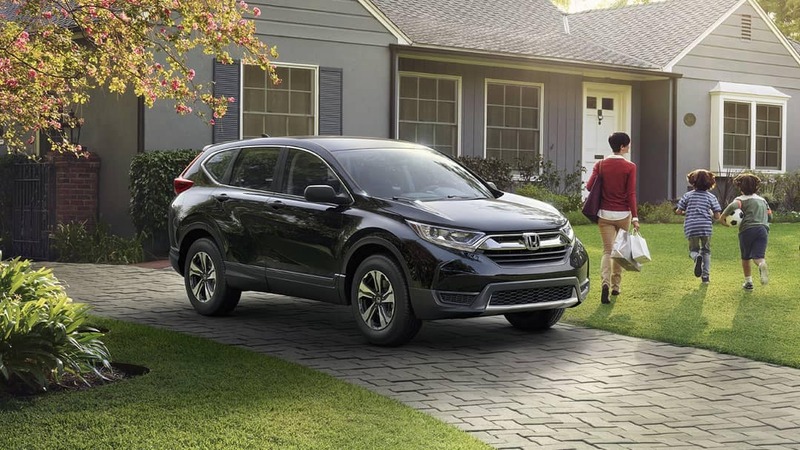 Drivers in Jackson will find a wide selection of 2019 Honda CR-V models in multiple colors to choose from. With this many options it can be difficult knowing which one is right for you. Today, our Honda CR-V models comparison breaks down the difference between the popular Honda CR-V LX and EX trims. 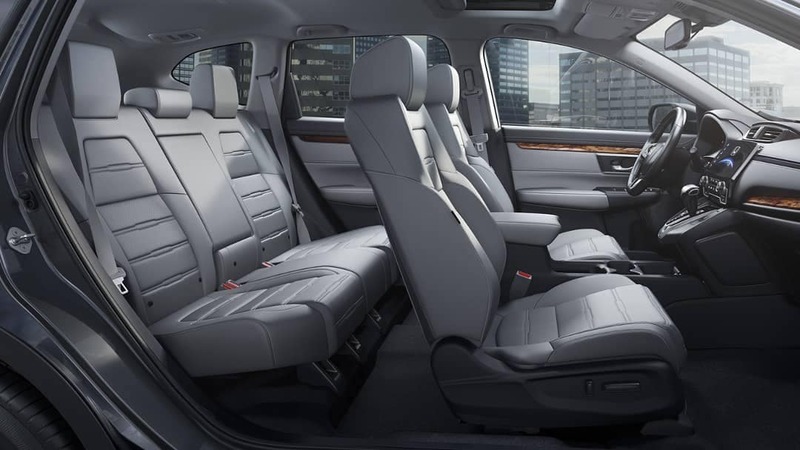 Honda CR-V LX – Even the base trim comes loaded with amenities. Inside this CR-V model, you’ll enjoy a rearview camera, cruise control, Bluetooth, a 5-inch LCD screen, and a USB port, not to mention a 4-speaker sound system. 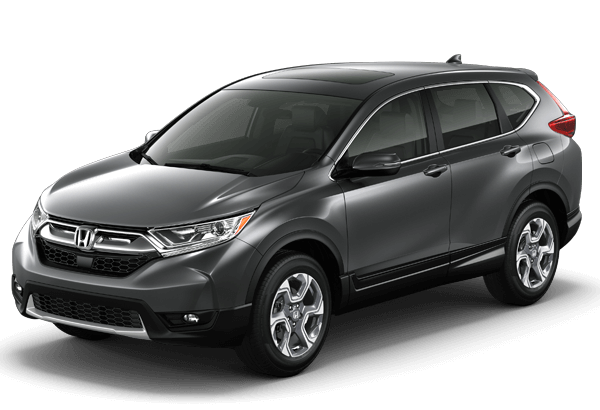 Move to the exterior, and you will see the CR-V LX also features 17-inch alloy wheels and LED daytime running lights. Honda CR-V EX – Enjoy upgrades on the CR-V EX like an enlarged 7-inch touchscreen as well as an upgraded rearview camera. Other tech highlights on this trim include HondaLink, satellite radio, and Apple CarPlay and Android Auto. The exterior of the EX also sees the addition of fog lights, heated side view mirrors, and 18-inch alloy wheels. Honda CR-V LX – The CR-V LX gets its power from a 2.4L four-cylinder engine that produces 184 hp and 180 lb-ft of torque. You also are given the choice between AWD and 2WD models with the Honda CR-V LX. With 2WD and its standard CVT, the CR-V LX gets up to an EPA-estimated 32 mpg highway and 26 mpg city**. Honda CR-V EX – Upgrading to the CR-V EX trim gets you a turbocharged 1.5L four-cylinder engine that generates 190 hp and 179 lb-ft of torque. Similar to the LX, the EX also is available with either two-wheel or all-wheel drive. Efficiency is slightly higher with FWD and the standard CVT, with this configuration earning up to an EPA-estimated 34 mpg highway and 28 mpg city**. Whether you still have additional questions, or you’ve already picked your favorite, you’ll find all the Honda CR-V trims here at Patty Peck Honda. All models offer plenty of space and features inside their compact exterior. 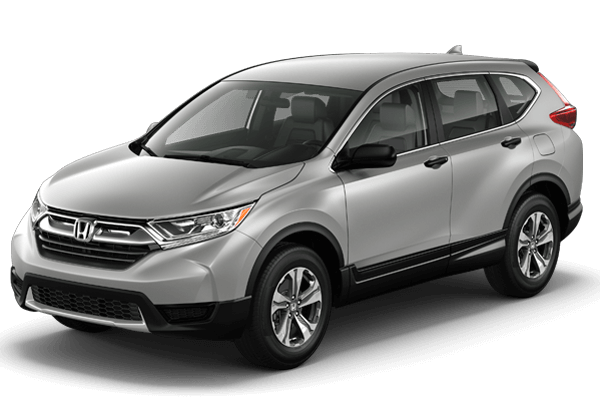 Stop by our showroom in Ridgeland and test drive of any of our new stock of Honda CR-V models!